CKC D&B is the group’s construction business, deploying a comprehensive range of skills on new building projects and refurbishments, over a diverse range of contract type, size and complexity, from retail and industrial warehousing, to student and residential development. CKC D&B employ a flexible approach, and work effectively to meet a project/client’s requirements, smoothing the complexities within the modern built environment. From concept to completion, the combined skill, knowledge, and determination of the management team to succeed in product delivery, have enabled CKC to build a reputation for quality and success. CKC Properties has completed two student accommodation sites in the UK totalling 198 beds in Kingston and Durham. 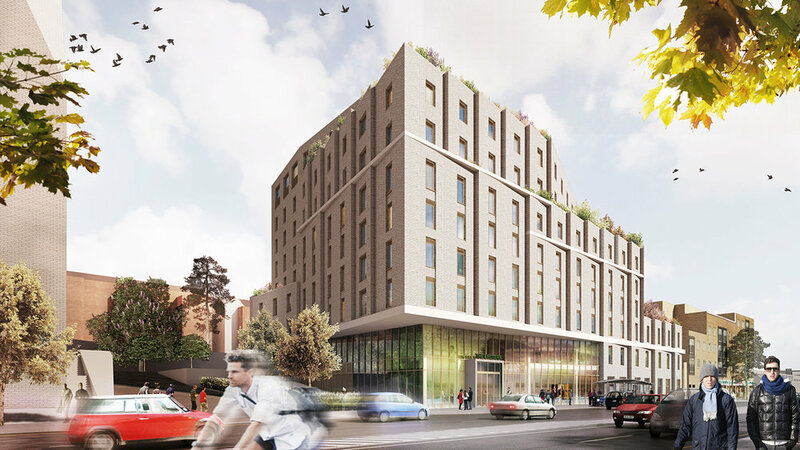 We have a pipeline of over 750 student beds located in major university cities and towns across including Brighton, Leicester and South-East London. CKC has extensive experience working in the residential sector, from affordable homes, private apartments, and luxury houses across London and the UK. CKC Properties and D&B have two live sites including the development of three luxury houses in Mill Hill and apartments in Croydon. CKC work for a number of clients and direct projects, from retail parks, industrial sheds, and offices, providing a full Design & Build service, working with clients and end users to provide a cost efficient delivery programme. We offer a multi-faceted service including project planning, estimation, risk management, build-ability analysis, and quality management.